April 11, 2017 - A third-year University of Houston Law Center student recently made the shortlist in a writing competition open to law students from across the country. Secord's paper, "Uncertain Waters: The Legal Implications of the New 'Waters of the United States' Rule on the Energy Sector" made him a finalist in the Institute for Energy Law Hartrick Scholar Writing Competition. The Competition is led by the Center for American and International Law's Energy Institute for Energy Law. "The Law Center has a lot of energy course offerings, and my paper draws heavily from what I've learned at the Law Center," Secord said. "It's unique to see that knowledge in action." "On behalf of the competition judges, I would like to pass on our commendation to Cameron, and our congratulations on an excellent piece of work," said Jay E. Ray, director of the Institute for Energy Law. "We are grateful to the University of Houston Law Center for its support of this competition." The second finalist was Sarah M. Main, a 3L student at the Elisabeth Haub School of Law at Pace University. Her paper was titled, 'Dual Environmentalism: Demand Response in Wholesale and Retail Energy Markets.' Third-year Columbia Law School student Channing Jones won the competition for his paper "The Natural Gas Act, State Environmental Policy and the Jurisdiction of the Federal Circuit Courts." An expanded version of Secord's article will be published next month in the Houston Law Review. 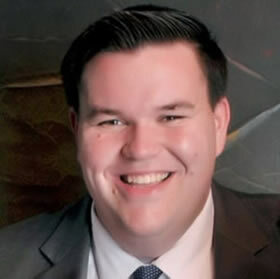 After graduating from the Law Center in May, Secord will be joining Jackson Walker LLP's Houston office as an associate. "I'm looking forward to incorporating technology into the practice of the law, while focusing on litigation," Secord said. "As for my interests in energy law, I think more and more transnational legal issues are going to come up as international standards become increasingly normed and I am excited to see that play out." Prior to attending the Law Center, Secord worked as a social studies teacher and debate coach at the Houston Academy for International Studies in the Houston Independent School District while serving with Teach for America. He completed his undergraduate education at the University of Georgia, earning a bachelor of arts in political science and a bachelor of science in social studies education. He also earned a master's of public administration from the University of Georgia.